Fancy a Blue Mountains Trip? The stunning Blue Mountains are a little over an hour from Sydney and the very best way to visit is our Blue Mountains Tour for the great value price of only $85. Enjoy Australian native animals in their natural habitat, spectacular scenic lookouts, an abundance of Aboriginal history and the chance to ride the steepest railway in the world! Not forgetting the Three Sisters rock formation, the mountain cities of Katoomba and Leura and an afternoon cruise along the Parramatta River to unwind on your way back to Sydney, this Blue Mountains Trip is a 'must do' when you are in Sydney. Book your Blue Mountains Tour from Sydney with us today! The Blue Mountains Deluxe Tour is the perfect way to discover the magic of the Blue Mountains. Just over an hour from Sydney, the Blue Mountains is a destination which should not be missed. Appreciate breathtaking views of the Jamison Valley with stops at Echo Point and the famous Three Sisters. Enjoy a pleasant stroll along the Boardwalk at Katoomba - the heart of Blue Mountains. This tour also includes a visit to Scenic World and whilst here we experience the thrilling Scenic Railway, valley Cableway and the Skyway - all included in the tour price. Not forgetting a stop at Featherdale Wildlife Park, where you can meet Australian wildlife including wombats, kangaroos and dingoes and even get your photo taken with a koala. This tour is packed with amazing lookouts, dazzling waterfalls, and nature at its best. Our Blue Mountains Deluxe Tour is certainly value for money! Sleep in and join our Blue Mountains Sunset Tour for the magical experience of watching the sun set over the Three Sisters. Operating all year round, our Sunset Blue Mountains Tour provides an unforgettable adventure with charming scenery over the Blue Mountains, minus the day tour crowds. The tour includes an awe inspiring bushwalk overlooking the breathtaking Jamison Valley, off the beaten track to discover remarkable waterfalls. Experience the majestic scenery of this beautiful region and book your Sunset Blue Mountains Tour with us today! The world heritage listed Blue Mountains are one of the most accessible areas of relatively unspoilt highland natural beauty in NSW and is renowned for its unique majestic scenery and cultural attractions. Our 2 Day Blue Mountains Tour is nature at its best with fabulous lookout points, wildlife viewings, historic rock formations (the famous Three Sisters) and beautiful waterfalls. We visit Featherdale Wildlife Park to meet iconic native Australian wildlife and stop at Scenic World to experience the thrill of the world’s steepest railway. Spend day two exploring the extensive network of limestone caves and above ground arches which are the world famous Jenolan Caves. This 2 Day Blue Mountains Tour from Sydney is for those who want to enjoy the beauty and wonder of the Blue Mountains and its surrounding areas. Book your Blue Mountains Trip with us today! One of the most popular attractions in the Blue Mountains is the Jenolan Caves, which have been dated to 340 million years. They are regarded as Australia's most outstanding caves and are among the best in the world. Join our Blue Mountains Adventure with Jenolan Caves tour and explore underground with a guided tour of Lucas Cave. We take in the beauty of the Blue Mountains with a stop at Scenic World and admire the tranquil surroundings of Blue Lake. Then we finish off the day with a relaxing cruise back to Sydney. Combining the 'must-see' sights of the Blue Mountains Tour and the spectacular Jenolan Caves, this Blue Mountains Tour will be one of breathtaking memories that will last a lifetime. Sydney is the largest and oldest city in Australia and millions of visitors flock here each year to enjoy the magnificent views from the bay. Known for its beautiful Harbour, iconic Bridge and globally recognised Opera House, Sydney has many top tourist attractions to offer. Our range of Sydney city tours and tours of surrounding areas, lookouts and beaches give visitors a glimpse into Sydney life, while offering first class service at the very best price. Packages including spectacular Sydney Harbour Luncheon Cruises offer fully inclusive tours to suit all ages and types. 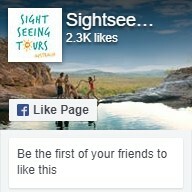 Check out our range of Sydney Tours on our website today and start booking your holiday now! With amazing wines and fabulous local produce, The Hunter Valley is quickly developing its name as a gourmet paradise. Located approximately 120kms north of Sydney, Hunter Valley is the perfect destination for a bus tour from Sydney. Our Hunter Valley tours offer the opportunity to sample some of the regions finest wines at four of the local wineries. You will be able to feast on lots of local cuisine whilst enjoying the company of like minded travellers. Check out our day tours to find the one to suit your taste buds! Book your Hunter Valley Wine Tour with us today!